Eight SBHS students from BPA Chapter 8 advanced to state competitions. A huge congratulations goes out to all students who completed this past week at South Texas College in Weslaco, TX for Business Professionals of America (BPA). Eight students for BPA Chapter 8 are advanced to state competitions to complete in Parliamentary Procedures and Digital Publishing. 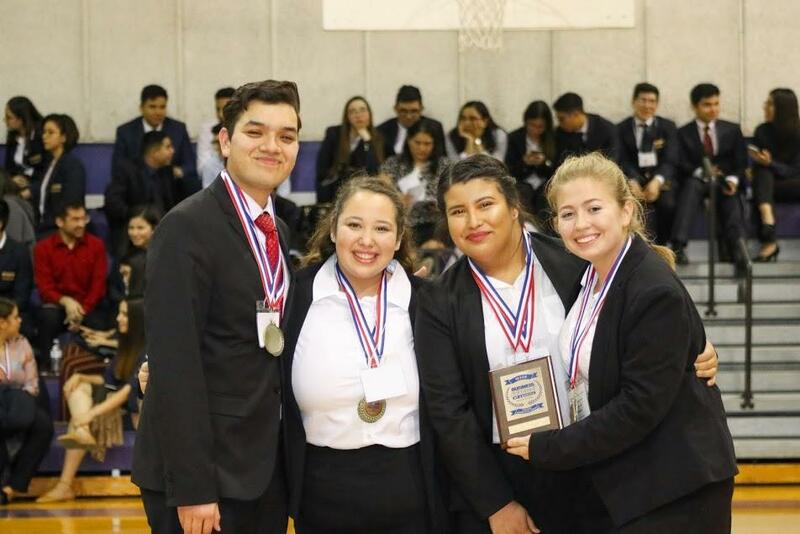 Mrs. Irma I. Perez, Sponsor, Mr. Rolando Guerra, CTE Director, & Mrs. Isabel Solis, SBHS Principal, wish all participants the best of luck at state. State competitions will be held in March in Dallas, Texas. Way to go Greyhounds!